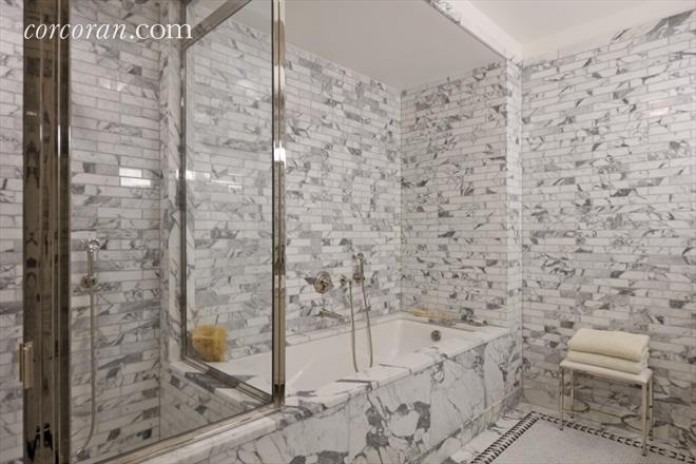 Intricate tile work adds interest to the walls—and deep soaking tub— of this guest bathroom at 240 Centre Street (on the market for $3.2 million), a two-bedroom, two-and-a-half-bath condop in Lower Manhattan. 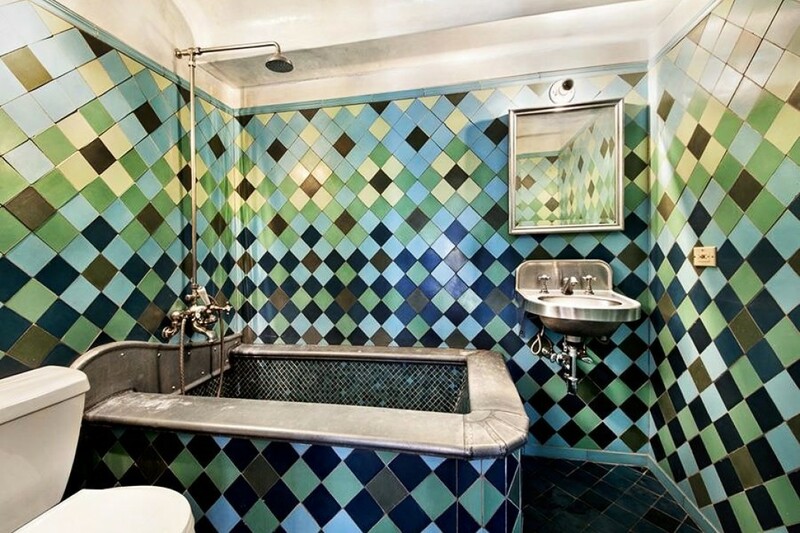 Who says a bathroom has to be white from top to bottom? If the idea of getting down to business in just such a sterile space gets you down, consider one of these fresh—and often colorful—alternatives. 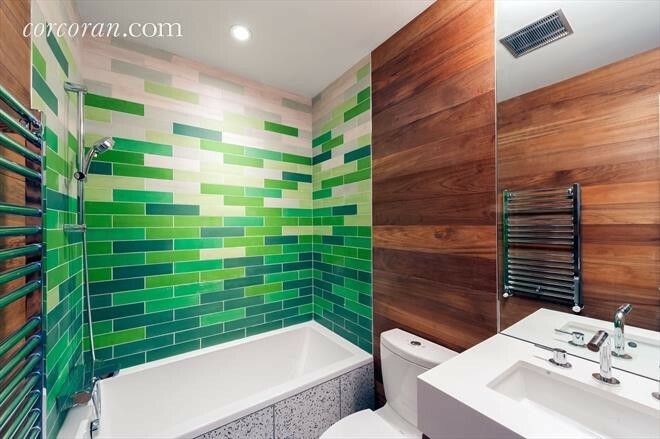 The three-bedroom, two-bath penthouse duplex at 97 Douglass Street in Boerum Hill (listed at $2.195 million) includes this non-cookie-cutter bathroom with an green ombré-style shower/tub area. 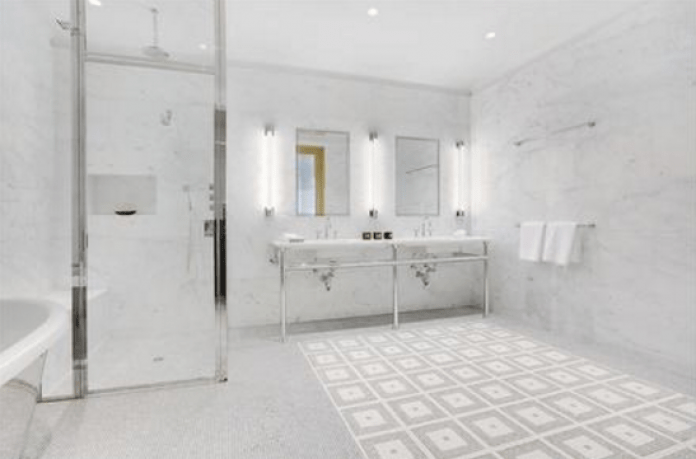 The master bathrooms at 37 East 12th Street (priced from $7.3 to 14.995 million) include tumbled Bardiglio mosaic flooring with custom marble mosaic inlay, for a little extra something special. 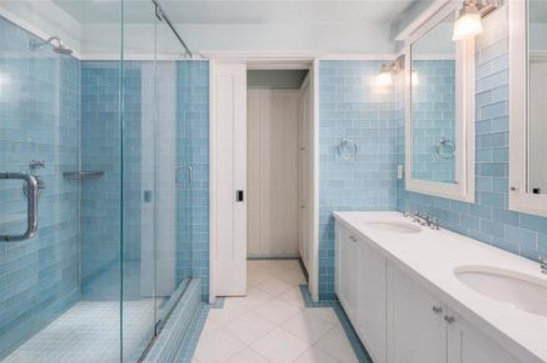 The blue tiled walls of this bathroom—one of six within a five-bedroom condo at 158 Mercer Street (yours for $12.5 million)—offer a fresh, clean look and a welcome alternative to basic white. 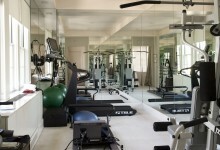 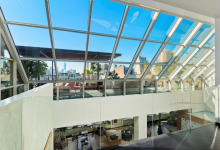 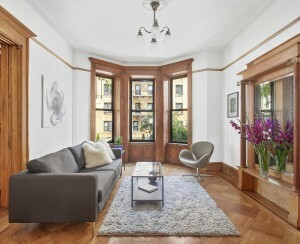 At 145 West 11th Street, a five-bedroom, four-and-a-half-bath condo (yours for $17.25 million) features a bathroom with a built-in tub, a glass-enclosed shower, custom millwork vanity, and marble mosaic flooring with radiant heat.